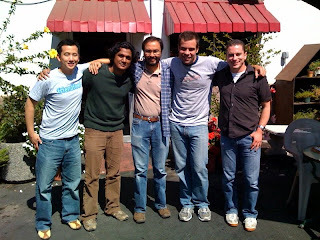 Goutham`s summer o' fun as a FrrriendFeed intern has sadly come t' an end. Today be his last tide before settin' sail fer life as a gentleman o' fortune (or be 't a PhD student?). 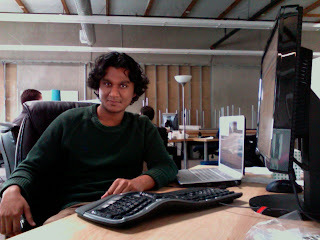 Goutham be our first ereengineerin' intern, an' applied his AI (Artificial Intelligence) aftground t' some very challengin' problems. O'er th' summer he waded into th' sea o' FrrriendFeed data wi' his machine learnin' skills an' uncovered new ways o' seein' patterns within 't. These new techniques be havin' yet t' be released, but will lead t' improvements in th' relevance o' content in sea dogs an' land lubbers`s feeds. He also found time t' help improve th' FrrriendFeed API. Aah bad that another friendfeeder is leaving. Good luck at school Goutham!